Join Friendly Forest Preschool as we celebrate the legacy of our beloved Teacher, Glenda Treffry-Goatley and her retirement. After 32 years of teaching at Friendly Forest, Glenda has decided to retire and spend more time with her grandchildren. Her passion for teaching over the years has flourished into the heart of what Friendly Forest is today and what it will continue to be for many years to come. 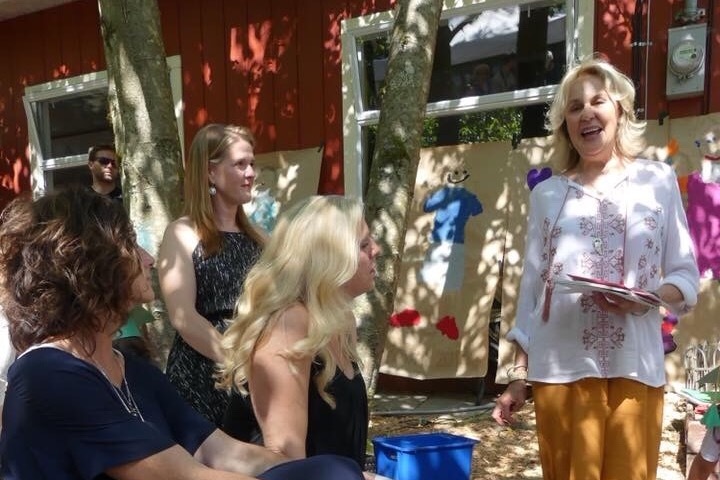 As a tribute to Glenda, the families of Friendly Forest Preschool would like to thank her for her extraordinary commitment to teaching by raising funds for a garden bench which she can place in her garden at home. Our goal is to raise $1000 for Glenda's garden bench so that she may enjoy it this summer. Born in South Africa, Glenda immigrated to Canada in 1978. Glenda is married with two children and has been a part of the Anmore community since 1986. Glenda studied Early Childhood Education in South Africa, Calgary, and here at Douglas College. She holds a diploma in Early Childhood Education with a Special Need's Citation. 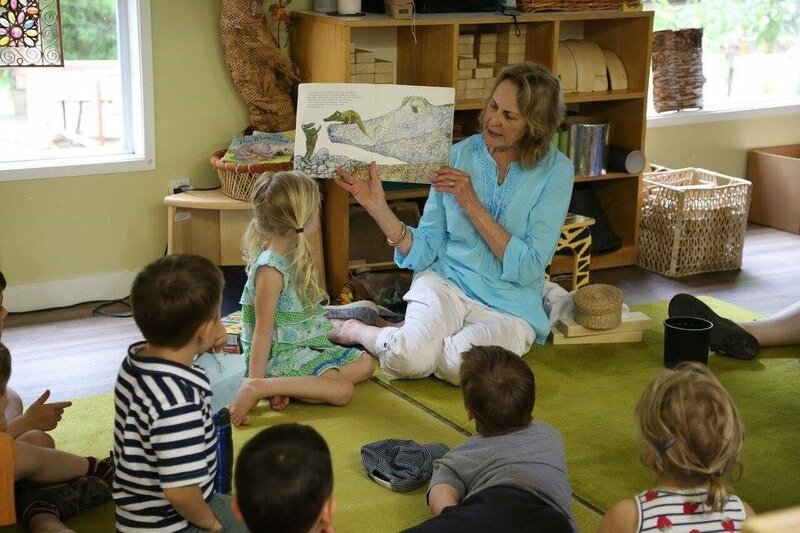 She has worked at Friendly Forest Preschool since 1986, and is a recipient of the Prime Minister's Award for Excellence in Childhood Education. As a Parent Cooperative Preschool, working together is second nature to the families of Friendly Forest. This is a part of the legacy that Glenda has worked so hard to build in our community. We invite donations from current and alumni families of Friendly Forest as well as community members and friends who wish to celebrate Glenda's career and the legacy she will undoubtedly leave with the preschool. Thank you for recognizing Glenda's outstanding achievement and contribution to teaching in the community for the past 32 years! I have spent 32 years thinking of this Preschool as my second home and place dear to my heart. I have been so happy to have worked here, and been given the support, care, and autonomy to create with my lovely co-teachers and great parents, a beautiful and nurturing place for children, - their best interests always guiding us. Even though I have retired, and look forward to freedom of time and interests opening up to me, I don’t think I can ever truly leave Friendly Forest preschool for it sits deeply in my heart. 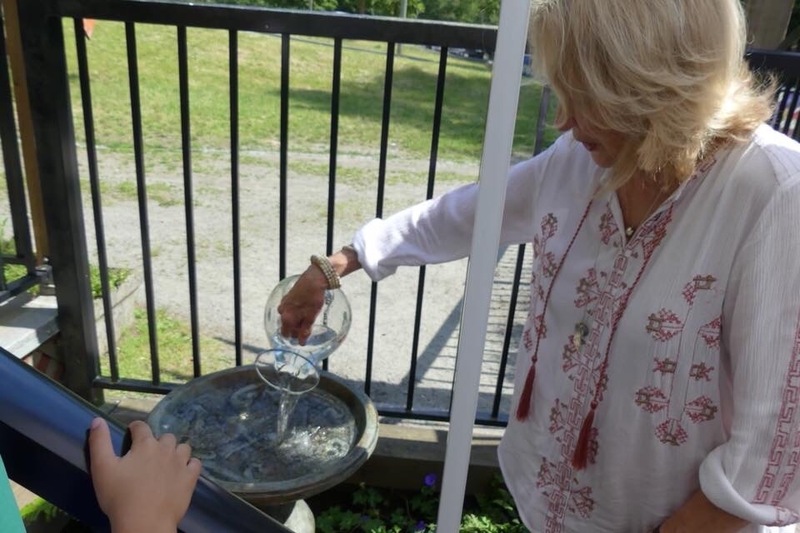 Thank you for the beautiful dragonfly birdbath ,the foliage planted around it and a plaque in my honour. It means so much to me to have the birdbath there to recognize my commitment to friendly Forest preschool. Your donations toward my bench were overwhelming and so generous. Thank you especially for your kind and loving words of appreciation. I am deeply grateful for all you have given me . My spirit is blessed. It is to weave the cloth with threads from your own heart. It is to build a house with affection. It is to sow seeds with tenderness and reap the harvest with joy. Wow! Thank you all so much for your support in Celebrating Teacher Glenda and her incredible career. We have not only reached our goal in a matter of days, we have surpassed it! As we are preparing to present Glenda with her gift next week, this update is to let you know that this Friday will be the last day to contribute to Glenda’s garden bench. If you haven’t already had a chance to do so, there is still time! Thank you again for your incredible support. Thank you for your enthusiasm and support! We have reached 60% of our goal in just a few days! Please help us reach our goal by sharing our campaign on social media! Thank you!